Pay : In the pay scale for Assistant Commandant in 01/2019 batch entry at Rs.15600-39100 with Grade Pay Rs 5400/- (Now Starting from Rs.56000/- in 7th Pay Commission as it is in the Level 10 of 7th CPC Pay Matrix) . How to Apply: Apply .Online at . 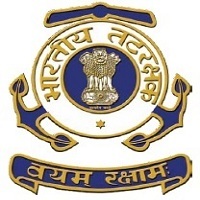 Coast Guard Recruitment website http://www.joinindiancoastguard.gov.in from 19/05/2018 to 01/06/2018 only.